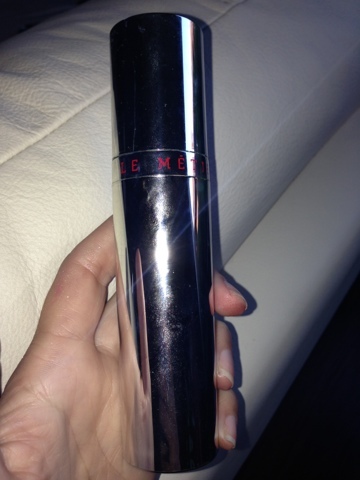 The LMdB Peau Vierge come in an airtight 1 ounce bottle with a pump. My love for the Le Metier de Beaute line is certainly not a secret...from the lustre of the lip products to the glow of the creme blushes, from the natural coverage of the foundation to the revitalizing properties of the peel and mask set, this brand ranks in the top five of my favorite cosmetic companies ever. In terms of skin care, this line does not disappoint! I have been steadily using the Peau Vierge Anti-Aging Complexe for the past six months as a part of my daily regimen and, now on my second bottle, couldn't be more pleased with my results thus far. Shade 2 is perfect for light to medium skin tones. I love that one press of the pump dispenses the ideal amount of product for a single use on the face...no mess or waste! This tinted treatment formula is the first and most effective of its kind, combining the known anti-aging benefits of Retinol with cutting edge Syntoc Actif® technology clinically proven to be 20 times more effective at delivering active ingredients into the dermis layer of the skin than traditional topical applications. Light-diffusing pigments help fade away lines and instantly impart a renewed radiance and healthy glow to the skin, with SPF 20 to guard against the damaging effects of the sun. Applies as a sheer gossamer wash for a flawless, luminous finish. If you are anything like I was before purchasing Peau Vierge, you may be be wondering what exactly, pray tell, this means and how it could fit into your daily routine! Here is how I typically use it: After cleansing with Koh Gen Do Spa Water, I put one pump of SPONGE Ladi Avokanto Oil on my face, followed by a pump of Peau Vierge #2 and, if I am going to be outside for any length of time, top off with some Koh Gen Do UV Care Milk (SPF 30) Sunscreen (love that it is physical rather than chemical in composition). The Peau Vierge adds this amazing balance (I attribute this to the very sheer tint), moisture and luminosity (there is a bit of sheen to this product) to my skin and perfectly primes it for the foundation to come. Over time, my skin has become smoother (likely the result of the retinol) and my makeup lasts longer...I cannot imagine skipping this step, ever. 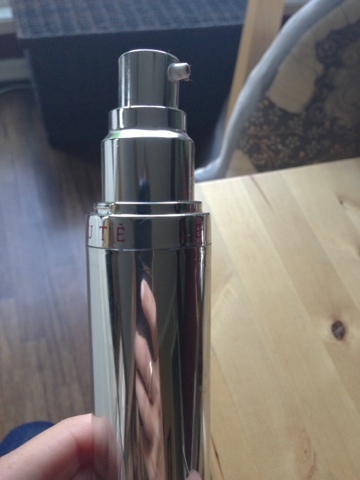 **For the past week, I have been trying the Somme Institute five step regimen (review in a couple more weeks!) and have kept Peau Vierge as an unmitigated component in my skincare routine because I like it that much...I just add it after step four and I am good to go! Above from bottom to top: Swatches of Peau Vierge in #1, #2 and #3 and swatches of Peau Vierge Concealer in #1, #2 and #3. Peau Vierge comes in three shades: Shade 1 (suitable for fair to light skin), Shade 2 (suitable for light to medium skin) and Shade 3 (suitable for medium to dark skin). Since all three shades are sheer, they are very forgiving...I wear Shade 2, which matches me perfectly, all year long, despite the fact that I change to a darker foundation shade when the summer arrives. 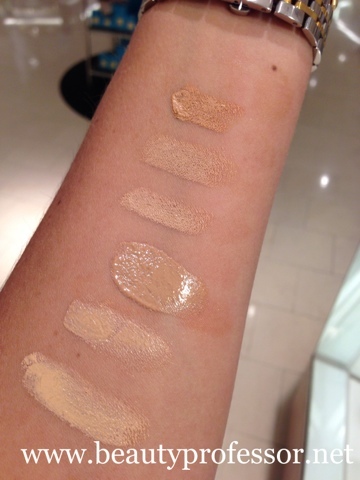 Above from bottom to top: Swatches of Peau Vierge in #1, #2 and #3 and swatches of Peau Vierge Concealer in #1, #2 and #3 in slightly different indoor lighting. Above from L-R: A close up of Peau Vierge #1, #2 and #3. Above: all I am wearing in this image is Peau Vierge. That is it. I jest...however, I am indeed wearing Peau Vierge as a base under my normal makeup...the natural glow that it provides is remarkable! Bottom Line: Peau Vierge is an integral part of my daily skincare. I love the evenness, luminosity and smoothness that this formula imparts and appreciate the fact that it is instantly effective as well as having long-term benefits with daily use. Paired with my Peau Vierge concealer, my skin has never looked better! Highly recommended. Peau Vierge was my first LMdB purchase. I absolutely loved it. The only reason I stopped using it is because I now use another topical retinol product, and the two of them were too much for my skin to take. But I really enjoyed using it. LOVED the review of the Lip Creme in Bloom. I am debating calling Scott at NM to have him send me one! The only reason I am hesitating is because I just ordered a combination of lip products from Ulta. I was insipired by the dark brown lips Camilla Belle sported at the Met Gala back in May. I found out what lip products she used (all by CkOne Color) and bought them. Thiis is my first experience with Ck beauty products, so I am interested to see how they perform. They are reasonably priced, if nothing else. I tried wearing the Kona lip color the other day, and enjoyed it. I am actually more comfortable with dark, deep lip colors than bright ones. Kona is a dark plum with burgandy undertones. The husband liked it - or at least lied convincingly about it. Lol! I am absolutely loving the LMdB foundation in #7. I love the finish and the color matches really well. Occasionally I will use just a little of the KGD Aqua Foundation in BE-1 to lighten the color a smidge. Thank goodness for BE-1! 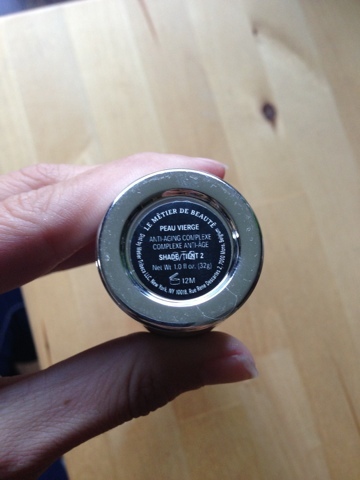 I am eagerly awaiting your review of the Peau Vierge concealer! Hope all is well and have a great rest of the week! Glad you liked my Bloom review...I am still so happy with the shade...creamy and opaque yet without giving the "death lips" effect. I love adding it to my too-dark shades as well, so it currently has had a permanent home in my purse. How do you like your new CKOne dark brown shades? I so love the idea of such colors but am always so hesitant to wear them for long. I may have to accept the inevitable fact that I am destined to only feel like myself in pale shades...is that crazy? Kona sounds fantastic...as I mentioned before, I have Castelo and it is so very pretty in swatches and I love looking at it, but it is just not the greatest on my lips...I will do a post soon--I'd be interested in your thoughts! Off to try to generate some blog posts...have a wonderful rest of the weekend and talk soon! My pleasure, Fernanda...glad you liked it! How much of this do you use prior to your foundation? Also do you find this in any way rubs off your foundation when applying with a beauty blender sponge? I have tried this alone and feel I need more coverage due to the redness I have so I was curious to see how you apply with foundation. I use one pump to cover my whole face (using my fingertips to blend); then I buff on my foundation with a Beauty Blender. I find that it's a perfect combination! I have extremely sensitive skin and have not tolerated retinol serums very well. I would love to try this as a skin care/sunscreen/radiant primer but am afraid of a retinol reaction. Is the amount of retinol very small, have you experienced any irritation from it? Thanks for introducing us to many products we might never have know existed! Because of the way the retinol is suspended and dispensed at a lower concentration, my extremely sensitive skin hasn't experienced a bit of irritation over the course of two years of daily usage. It is truly gentle yet effective! Thank you so much for your helpful review. After seeing you mention the LMdB Peau Vierge regularly you have made be desperate to try it. I live in the UK and I've constantly been trying to buy it for a while, but none of the US stockists will ship it to the UK for some reason. I have finally found someone in the UK stocking it (at twice the price - eek!) however they only have shades 2 & 3 and I'm really fair. Do you think shade 2 is forgiving enough for really fair skin or do you think (especially at such a high price) it is better to hold out? Also, do you know of anywhere (even in the US) that tends to have regular stock of it? It seems really hard to find - my brother lives in the US so I'm thinking I may be able to ask him to ship it to me if all else fails, but I'm struggling to know where to send him! I do think that #2 can work for fair skin but it depends on how fair you mean by "really fair.' I get Peau Vierge at Neiman Marcus and I know that they recently got #1 back in stock so you may want to see if your brother can help you out! As for how fair I am - I'm a NW10-13, By Terry Cream Ivory, Giorgio Armani Luminous Silk 2, Nars Siberia... if that helps?! It's reassuring to hear you feel it's worth the pursuit (at least now I can convince myself that the hours I've wasted looking into getting hold of it have been for a good cause - haha). Thank you for the tip - I will definitely see whether he can get hold of it from Neiman Marcus for me as the site in the UK have said they won't be getting anymore stock of the 1 (but if all else fails I may take the plunge with the 2). That is so great to hear, Anon! It is my pleasure to guide beauty lovers to this brilliant product...keep on enjoying! Oh guys....I really am envious that you can get your hands on this. I live in Bulgaria and the only way to buy this is from Neiman Marcus....but they want tk charge some ridiculous $$$ for delivery and import duties.....And the PV is barely existent on ebay...Least I can say is that I'm devastated. Hi! I bought the Peau Vierge trio recently from QVC. 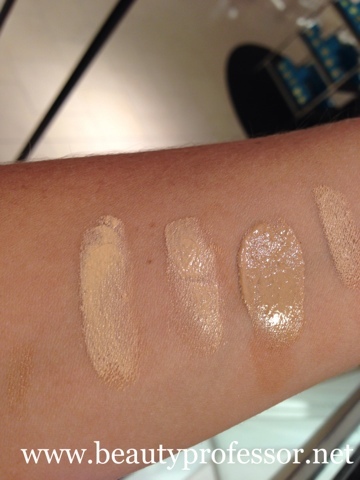 None of the shades were ever shown on the air, but I contacted LMdB and they said the QVC shades correspond as follows: Porcelain = 0, Fair = 1, Light = 2, Medium = 3 and the darkest shades are new to the lineup. I'm wondering if Fair (Shade 1) or Light (Shade 2) would be good for my NW20 skin. 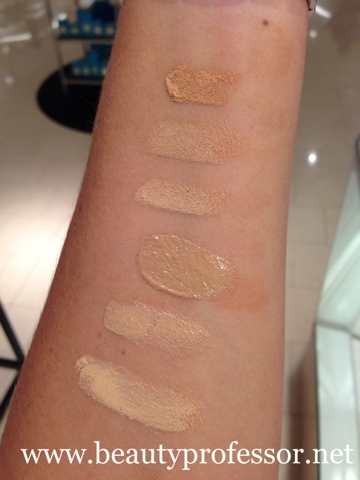 Looking at your swatches, Shade 1 looks rather yellow. Would 2 be a better match? Thanks for any assistance. Loved the show by the way!! You were great! I would say that 2 is a neutral beige and should match you well! !